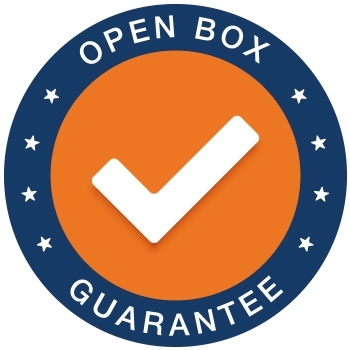 Digital Equipment for the Professional Reefer. 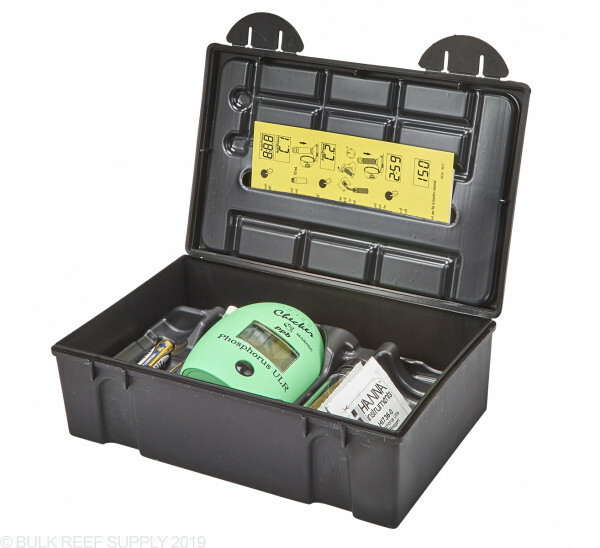 Keep an eye on the important parameters with Hanna Instruments HIREEF pack. Hanna has been making accurate and reliable digital testing equipment for years and is our go-to digital testing equipment. 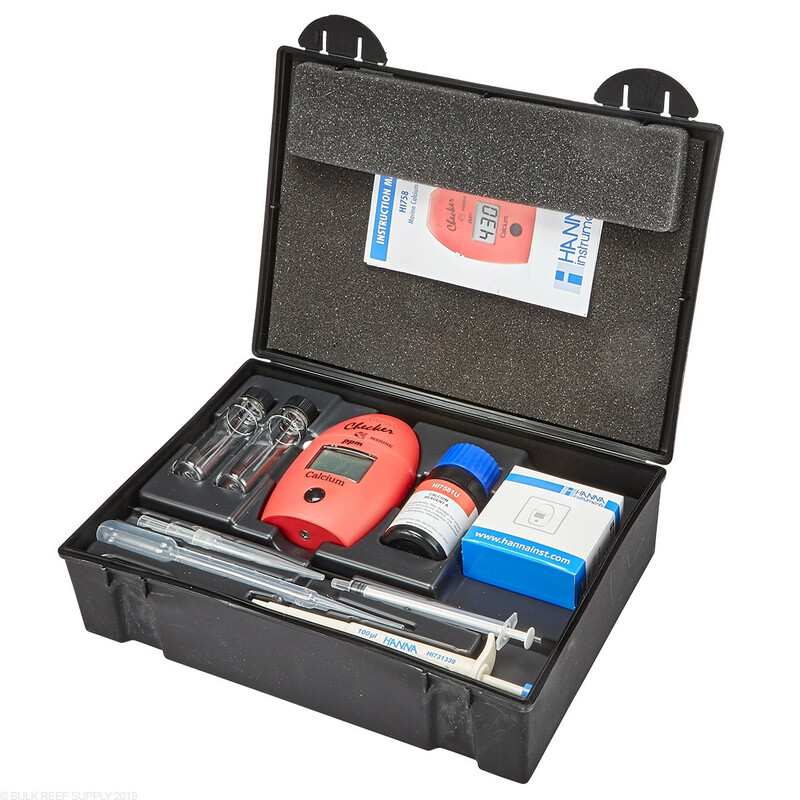 The complete kit includes everything for testing alkalinity, calcium, phosphorus, and pH. 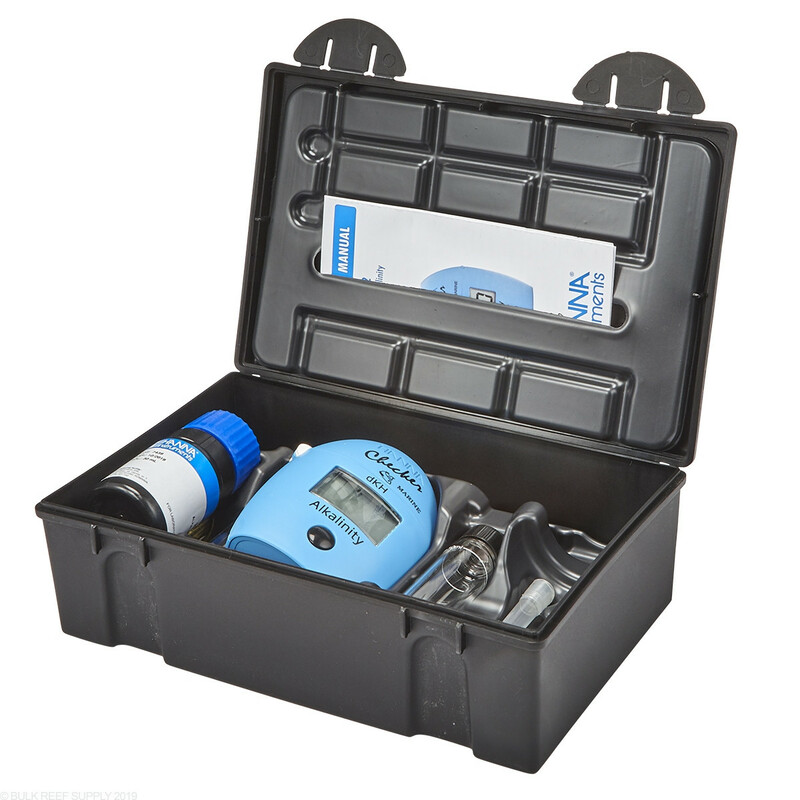 The readings are provided on a large LCD display that is easy to read, no longer will you need to match color cards or when a shift in color occurs. 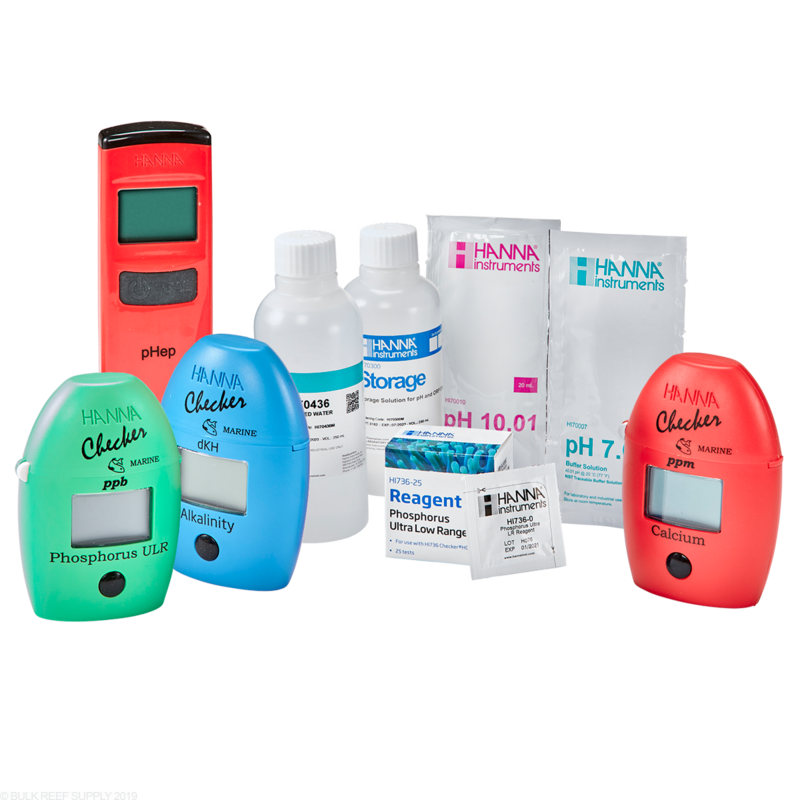 Each checker comes with easy to follow instructions, batteries, and reagents for the calcium, phosphorous, and alkalinity checkers, and even includes calibration solution for the pHep Pocket pH Pen. 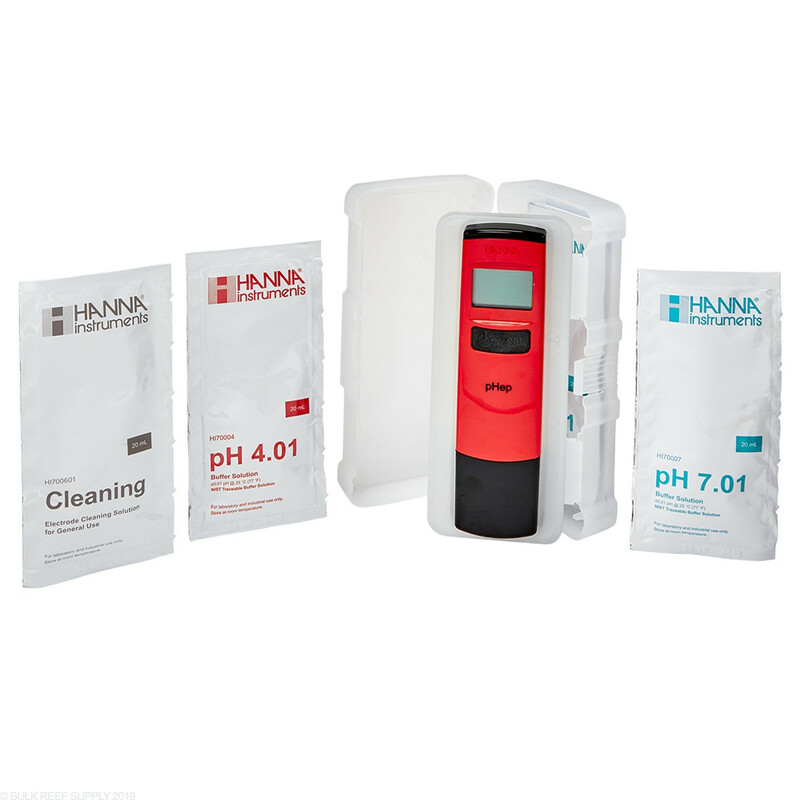 Simple, easy, and accurate the Hanna HI772 Alkalinity Checker is our top choice for an alkalinity test kit. If we were to suggest testing a single element every day, it would be alkalinity. 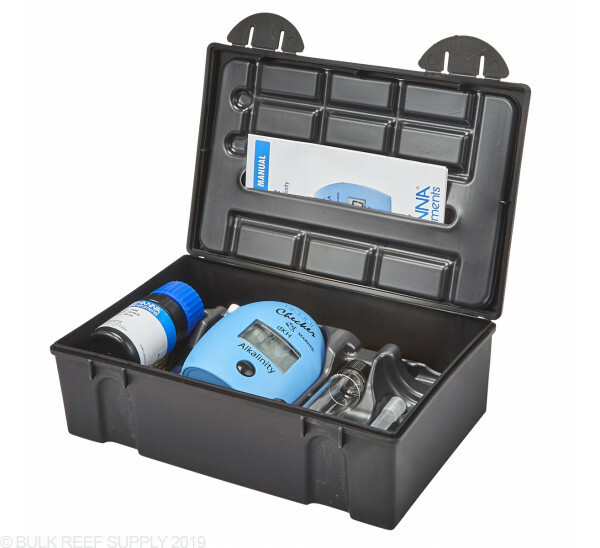 Each test only takes a minute and with daily monitoring, you can easily know what is going on inside your aquarium and how your coral is growing. Providing readings in a DKH value makes recording easy without any conversion charts needed. 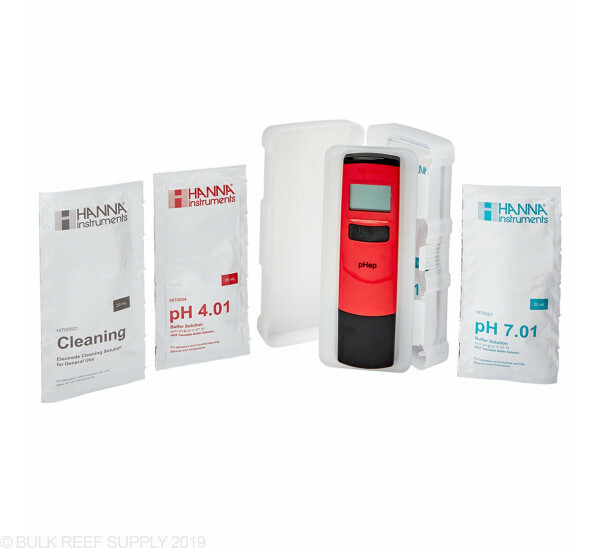 Every successful reef tank requires a quality calcium checker, and the Hanna HI758 is up to the task. With a straightforward testing procedure, a mechanical pipette, and now including HI70436m Deionized Water reliable calcium readings are only a couple of minutes away. Knowing your reef tanks calcium level is very important, and improper levels can lead to slower calcification of the coral's skeleton, and we all want our corals to grow as fast as possible. In marine aquariums, there is phosphorous and phosphate. 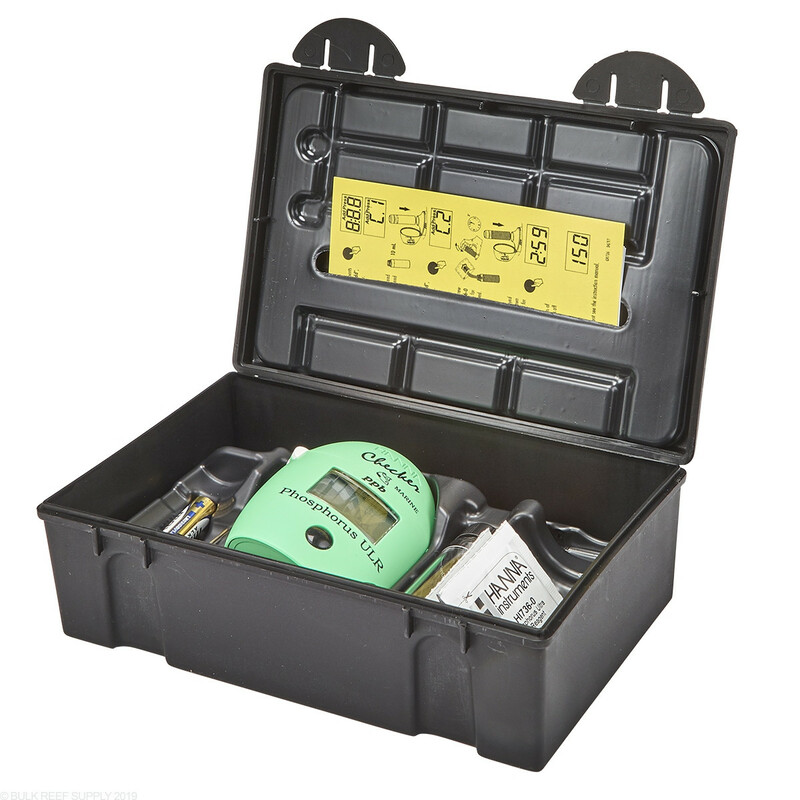 The Hanna HI736 is a cost-effective way to measure the important phosphorous element. Testing for phosphorous provides valuable insight into why algae problems may be happening, but more importantly, elevated levels can lead to slow growth and possible health issues for your corals. Traditionally phosphate is the term used in the reef aquarium hobby, however phosphorous (orthophosphate as phosphorous) provides a more accurate reading and tighter accuracy ranges. 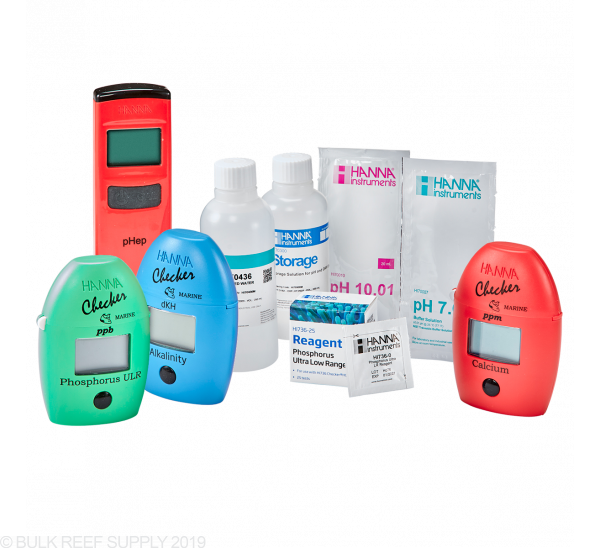 With two point calibration, the HI98107 pHep pH Tester is perfect for any aquarist that wants an accurate reading within seconds. Just dip the electrode end of the meter into the liquid you want to measure, let it stabilize and then instantly get a pH and temperature reading. 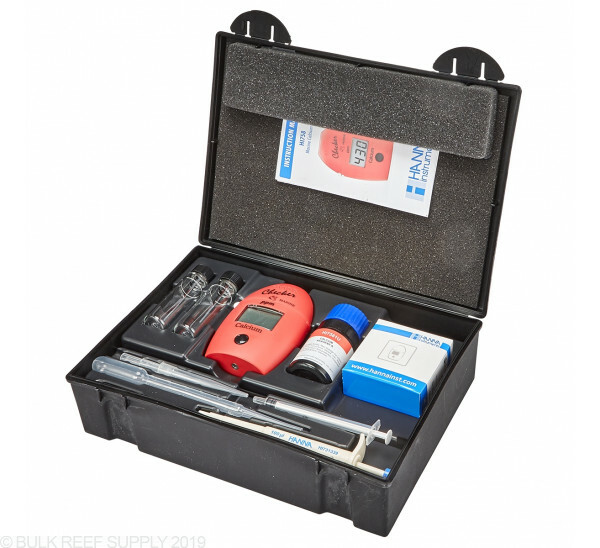 If you need to know the pH of your aquarium or RODI water it is invaluable, but many aquarists use pH pens for remote readings especially when they are acclimating new livestock to their aquarium.